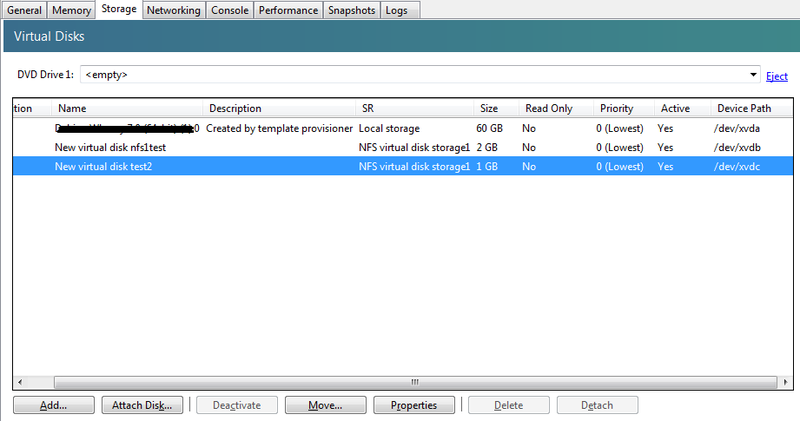 First you need to create a NFS Virtual Disk Storage via XenCenter. 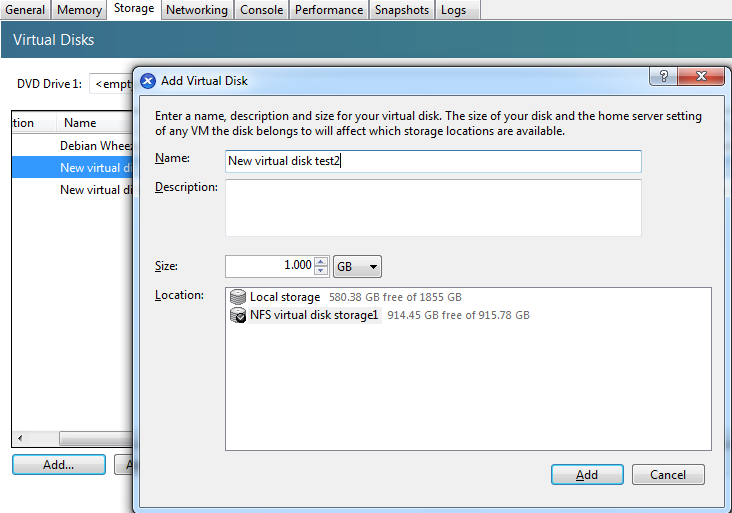 The virtual disk is now attached and active in the virtual machine. The new disk is mounted in /mnt path.